As organic producers we can’t use blending components from other vineyards, or indeed other regions, even if we wanted to. We have to create our own blending components in the vineyard and winery in various ways to add complexity to our wines. All of the red wines under our Battle of Bosworth label are Vegan Friendly. Joch constantly experiments in the vineyard using different regimes: pruning, trellising, water regulation, crop thinning and other techniques, which, if they prove effective, are adopted. The use of cordon-cut Amarone style grapes in the red wines has come about as the result of one such trial. 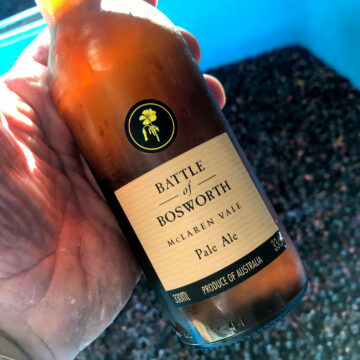 We experiment in the winery by manipulating fermentation time, fermentation temperature, the type of oak used, the time spent in oak, time on lees and a host of other processes, to best achieve the desired Battle of Bosworth style.